Whether you are looking to refinance a mortgage in Georgia or Florida, the Atlanta mortgage experts at Family Mortgage Team are equipped to help. Lower interest rate, need cash out, consolidate debt, better monthly cash flow, money for children’s education, pull money from one house to purchase another, etc. — these are just a few reasons people considering a mortgage refinance. But does it really make sense? 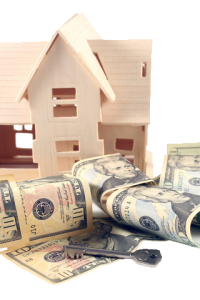 Should you pay closing costs, pay reduced cost or no closing costs at all? For example, whether you pay closing costs or not depends on many factors. You need a mortgage company who can shoot straight with you about whether it even makes sense and if so, show you the different loan options available in such a way that you can make an intelligent decision. Ideally, you want to look at the total cost of each loan refinancing option over a period of time — that’s where we can help. Our mortgage refinance experts can help you make the right loan choice for your needs – get started today by contacting us for a free interest rate quote and let us show you why the Family Mortgage Team sets the standard for excellence in the mortgage business.